New way to store Passwords. Just learned of a new password storage device. Sharpie on the laptop wrist rest. 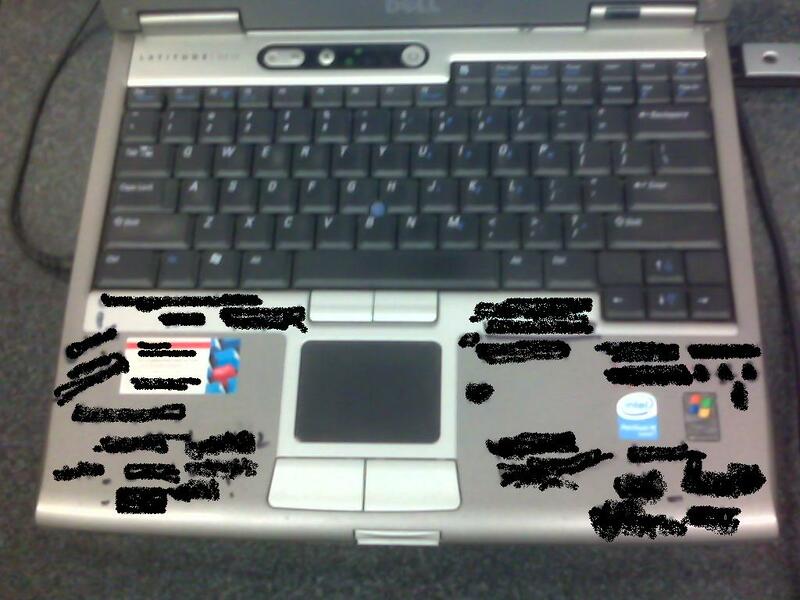 Get a new laptop when you run out of printable space? The owner of the laptop noticed the look on my face and asked if “I wanted a picture?” So the deal was the blurring of the passwords. I find this amazingly funny and I’ve seen similar in the past so you’re not alone. Hope you don’t mind but I linked you up over at ThatDamnPC.com. At least it’s more tree-friendly than post-its? I use to write everything down on my hands, but then every so often I would shower and they would come off. So then I got tattoos but then my company adopted this new policy where we had to change our passwords every 60 days now I have a tattoo that is passwd12345… its not very cool. Suffice it to say I can now shower regularly and do not have any new tattoos which makes my parents happy.